Ngorongoro Farm House is set on a 500-acre coffee farm, offering fantastic views of Oldeani Volcano best seen from the coffee plantations. This exclusive lodge is the perfect place to stop over and see the lakes and volcanos of the area while exploring Tanzania’s Northern Circuit. The lodge is equal distance from Ngorongoro and Lake Manyara, and only 4km from the entrance to the Ngorongoro Conservation Area. Spend a day game driving in Lake Manyara, and a second in the Ngorongoro Crater. A Maasai guide leads walks around the farm to introduce guests to the uses of plants, the vegetable garden and the operation of the farm. Take the opportunity to visit the Hazabe and Datoga tribes in the Lake Eyasi region. The farm house offers 52 Chalet Rooms, decorated with local materials. 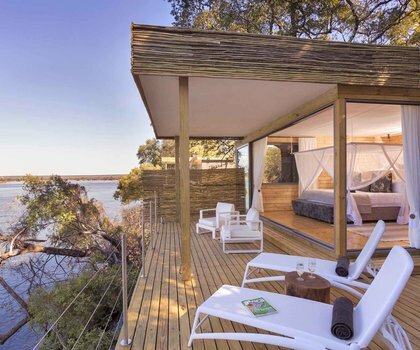 Each suite has a private verandah, and all rooms have en-suite bathrooms. Near the swimming pool and manicured lawns, an expansive thatched structure with bar and dining room makes up the main lodge, where many delicious meals are served in the open air. From wildlife-filled craters to mighty elephant herds and flamingo-dotted lakes, let Tanzania's most celebrated destinations send your soul into its most tranquil state. Encounter every spectacular side to Tanzania from coffee plantations & the Big 5 in the Serengeti to flocking flamingoes and tropical fish surrounding Zanzibar Island. Uncover a subculture of style in Brazzaville before moving on to Odzala National Park where you'll trek gorillas in the lush forests at Ngaga Camp, spot rare creatures at Mboko Camp and meander along bais before connecting with the local villagers, at Lango Camp. Discover a joining together of culture and nature in Tanzania. 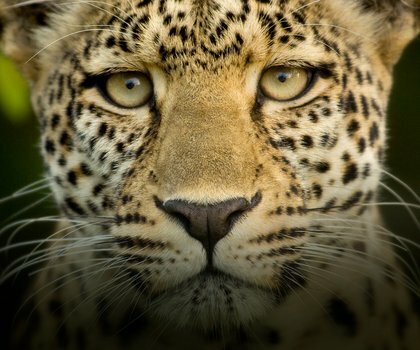 See extraordinary wildlife whilst enjoying the tranquility of a luxury African safari. Resting on the rim of the world’s largest intact caldera, Ngorongoro Serena Lodge is the perfect vantage point from which to watch the circle of life unfold in the arena below. The Ngorongoro Crater, a UNESCO World Heritage Site, is home to over 25,000 large mammals including elephant, lion, and rhino. Perched on the highest point of the Ngorongoro Crater’s rim, Ngorongoro Sopa Lodge promises superb safaris and game viewing experiences in one of the continent’s most fascinating settings. The lodge is a fantastic option for families and promises good value for money. Lemala Ngorongoro Tented Camp sits on the edge of the Ngorongoro Crater in the Ngorongoro Conservation Area. Enjoy quick and easy access to the crater — an area renowned for its high game density and Big 5 sightings. Enjoy sitting at the campfire and a delicious dinner after a day of game drives. The Highlands is a luxury safari camp offering eight canvas dome tents with en-suite bathrooms. Embark on a myriad of activities including witnessing the Great Migration, game drives, nature walks and visits to the Maasai villages. Indulge in splendid meals crafted by the on-site team as well as sophisticated amenities at the camp that enhance your wildlife experience. In the heart of the Serengeti and with nearby attractions including Olduvai Gorge and the Ngorongoro Crater, Ndutu Safari Lodge is Tanzania at its best. 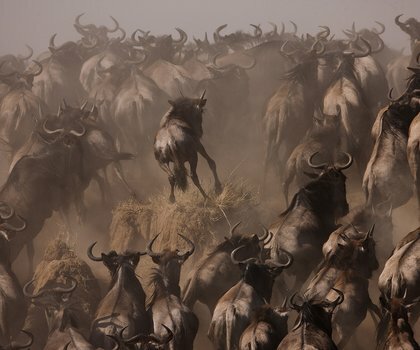 Whether you’re here for the Great Migration or to admire the abundance of wildlife throughout the year — Ndutu promises authenticity, simplicity, and a true break from the real world.